Alfonso Reyes, The Collected Works of G. K. Chesterton, Vol. 01: Heretics, Orthodoxy, the Blatchford Controversies. ; Octavio Paz, Itinerary: An Intellectual Journey. 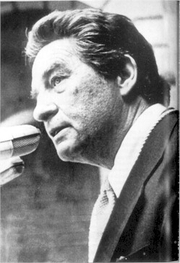 Octavio Paz is currently considered a "single author." If one or more works are by a distinct, homonymous authors, go ahead and split the author. Octavio Paz is composed of 20 names. You can examine and separate out names.